Oops this is a new page and there is nothing here yet. It might be awhile before I can actually work on this page. 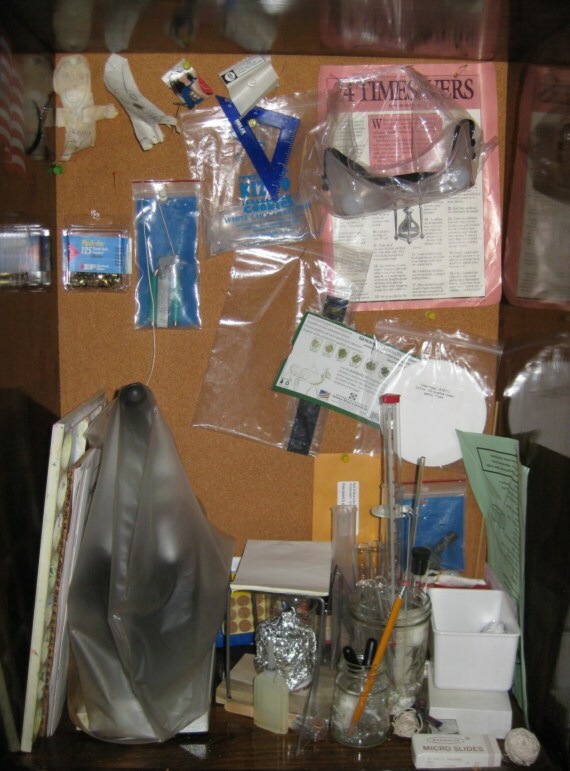 For now here is a photograph of our biology and chemistry lab equipment.You can see my microscope #131safe under its cover. The items that we used for pre-high school years are not shown here.